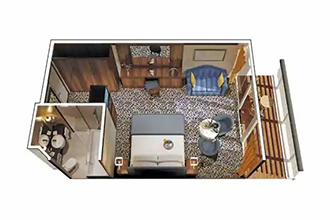 The beautiful 684-guest Nautica offers every luxury the seasoned traveler expects on this sophisticated and charming cruise ship. 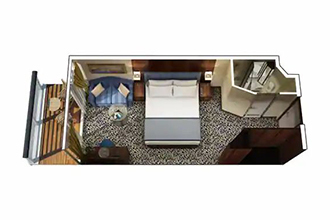 From a variety of decadent open seating restaurants, eight chic lounges and bars, an exciting casino, lavish suites and luxurious staterooms you'll surely find what you are looking for. 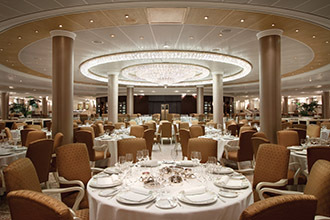 Teak decks, neo-classical furnishings in staterooms and more add to the beauty of Oceania Cruises' stunning ship. 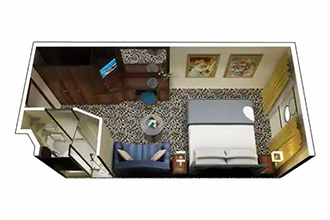 With a high staff-to-guest ratio an exceptional level of personalized service is readily available. 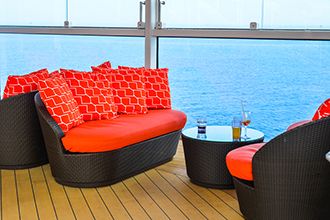 Ideally sized, the stylish Nautica, provides the perfect setting for your worldwide adventures. Shop for fine fashions, accessories and duty-free jewelry at stylish boutiques. Replenish your spiritual awareness, healthy lifestyle and overall wellbeing at the world-famous Canyon Ranch SpaClub® with a multitude of spa treatments, fitness classes, presentations and Canyon Ranch cuisine. 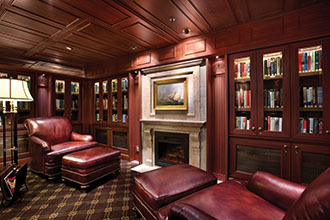 Enjoy a book or periodical in the English-style library, with over 2,000 publications you're sure to find at least one of interest. 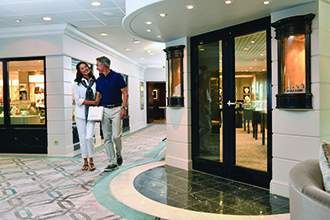 Enjoy Afternoon Tea featuring traditional delights and stop by the Oceania@Sea Internet Center, open 24-hours to keep in touch with loved ones. Sea views and fresh air provide the perfect backdrop for a game of paddle tennis or jog around the track. 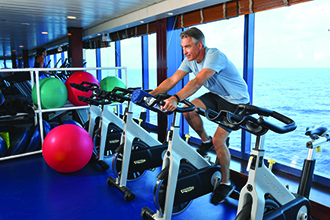 Guest lecturers will enrich your cruise experience with discussions about a range of current fascinating topics. 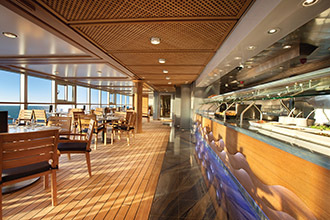 Your taste buds will embark on an amazing culinary journey with some of the finest cuisine at sea, prepared à la minute. The sumptuous Grand Dining Room, with its designer fabrics, oversized seating and formally attired wait staff serves spectacular multi-course European-inspired and Canyon Ranch spa cuisine. Versace china and authentic Tuscan dishes, including recipes handed down over generations, complemented by fabulous wines from the region, are on the menu at Toscana. The Polo Grill is a traditional steakhouse with white linens, dark wood and leather and succulent fare. 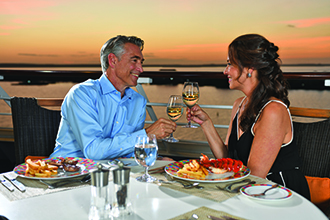 Casual choices include the Terrace Café where you can dine alfresco or indoors and Waves Grill, mere steps from the pool. 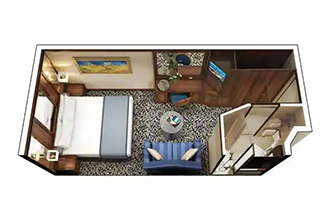 Exceptionally spacious suites and staterooms feature luxuriant décor including beautiful hardwoods, fine furnishings, art and 70% with private teak veranda. Oversized living and dining rooms are offered in suites as well as marble and granite in the bathrooms. 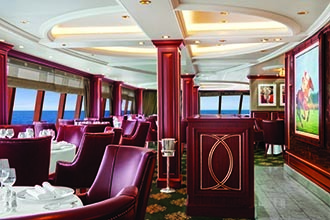 Palatial Owner's Suites, Vista Suites and Oceania Suites exemplify cruise ship opulence being raised to new levels. The grand Tranquility Bed ensures sweet dreams. 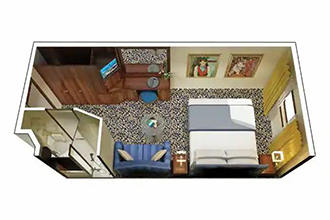 An entertainment center enables guests to watch first-run movies on the plasma TV and play DVD's and CD's from the comfort and privacy of their accommodations. 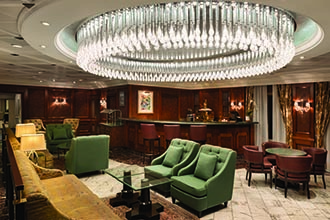 Evening entertainment includes musical groups and karaoke in Horizons, live piano music in Martinis, itinerary inspired themed music and vibrant shows, classic music by a string quartet and more. 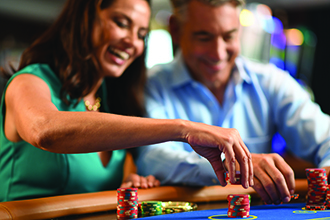 From intimate and low key to dynamic and fast paced, a wonderful affair awaits you. 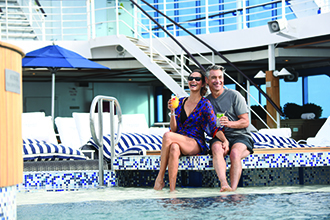 Cruise on the beautiful Nautica to worldwide destinations, including Asia/Africa/Middle East, Baltic/Russia, British Isles & Coastal, Europe, Greece/Turkey/Black Sea, Mediterranean, Scandinavia & Fjords, South Asia, Japan & Far East World and Exotic locales. 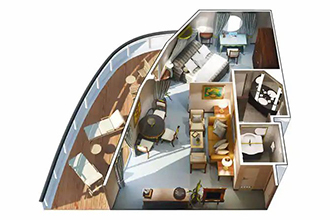 Immensely spacious and exceptionally luxurious, our six Owner’s Suites are among the first to be reserved by our discerning guests. 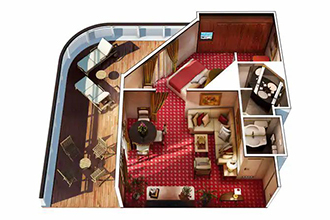 Spanning nearly 1,000 square feet, these magnificent suites are fit for royalty. 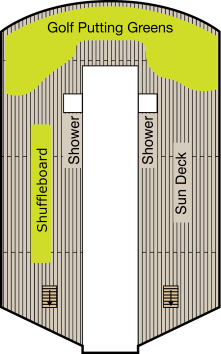 Every imaginable amenity is found here, including a private teak veranda, a second bathroom for guests. 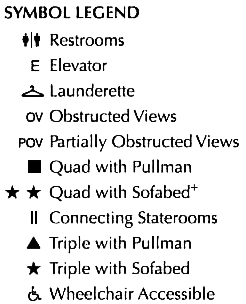 Named for their sweeping views over the ship's bow, the four Vista Suites each sprawl over 786 square feet. 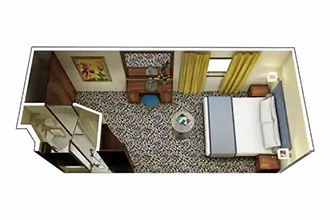 Every creature comfort is here, including a second bathroom for guests and a private teak veranda. Listen to music in enhanced surround sound, or watch a DVD on one of the two flat-screen televisions. 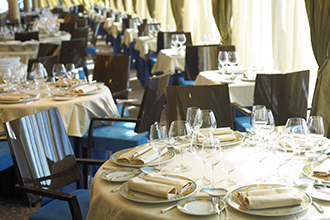 Each evening the Terrace Café transforms into Tapas on the Terrace. Here, you'll dine on an extensive menu of authentic dishes from across the Mediterranean along with a wide array of traditional favorites and nightly chef specials. Monitor business developments through our fully staffed, 24-hour internet center. Our computer learning program offers a wide variety of compuer lessons during sea days. Private one-on-one lessions on various topics available, or you may wish to join one of our group classes ranging from beginner's level Microsoft Windows XP to image retouching with Adobe Photoshop Elements. 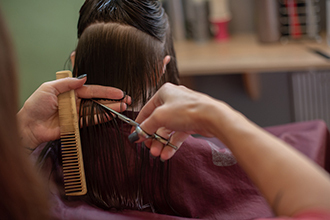 You'll want to look as good as you feel, so there's also a beauty salon within the spa, offering a variety of personal care services including manicures, pedicures and hair styling. Whether you are looking to stay fit or start a new exercise regimen, you'll find everything you need in our state of the art fitness center. This large airy facility is equipeed with the latest exercise equipment, has a large aerobics area and offers a variety of fitness classes staffed by personal trainers. Pampering takes many forms in our sybaritic Oceania Spa, all of them exquisite and immensely pleasing. Simply walk through the spa doors, and the serenity of this world class oasis instantly captivates you. Your body seems to sigh in anticipation of the revitalizing and rejuvenating treatments you are about to indulge in. Delight in a holistic citrus facial, leaving your face with a youthful, radiant glow. To firm you skin and naturally release any impurities, pamper yourself with a body contour wrap, or be enveloped in rich clays and essential oils. When the sun sets, the stars come out every evening.